OUR PRICE: $13.17 - Join Rewards Get $1 Dance Dollars On This Item! 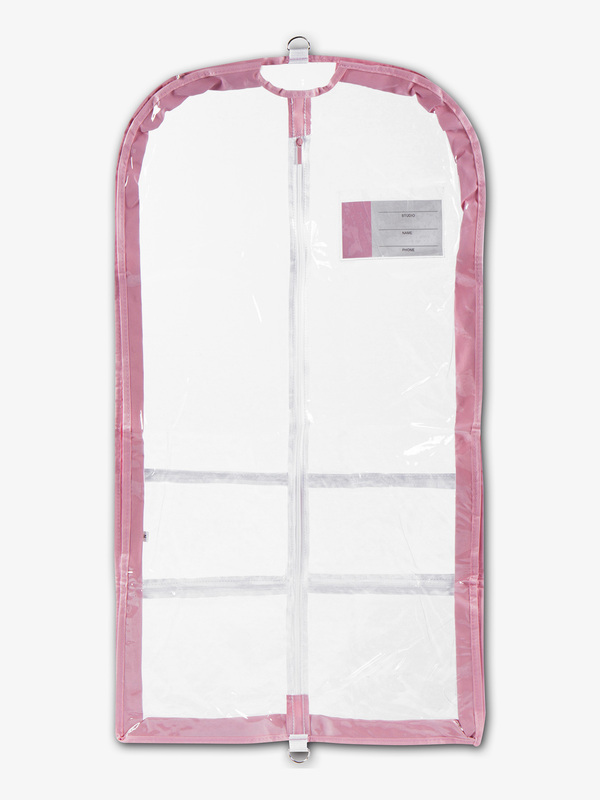 Keep your costumes crisp in this sturdy PVC garment bag featuring a colored trim, 3-inch expandable gusset, three outer pockets perfect for shoes or accessories, and full zipper closure. Size: 37" x 20" x 3"
WARNING: This product can expose you to chemicals, including DEHP, which is known to the State of California to cause birth defects or other For more information For more information go to www.P65Warnings.ca.gov.